When I was first introduced to Lees Ferry in 1982, I fell in love with the beautiful colored canyon walls and the crystal clear water. 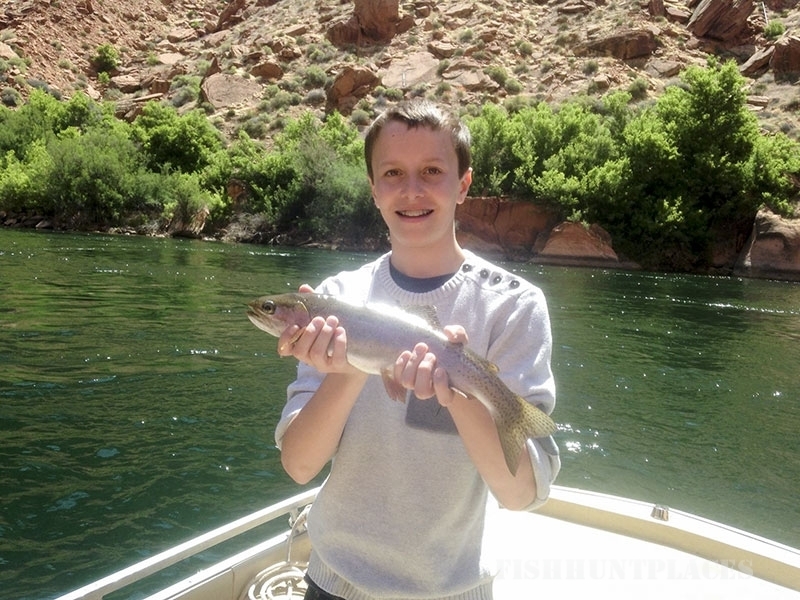 Not to mention the awesome Trophy Rainbow Trout. 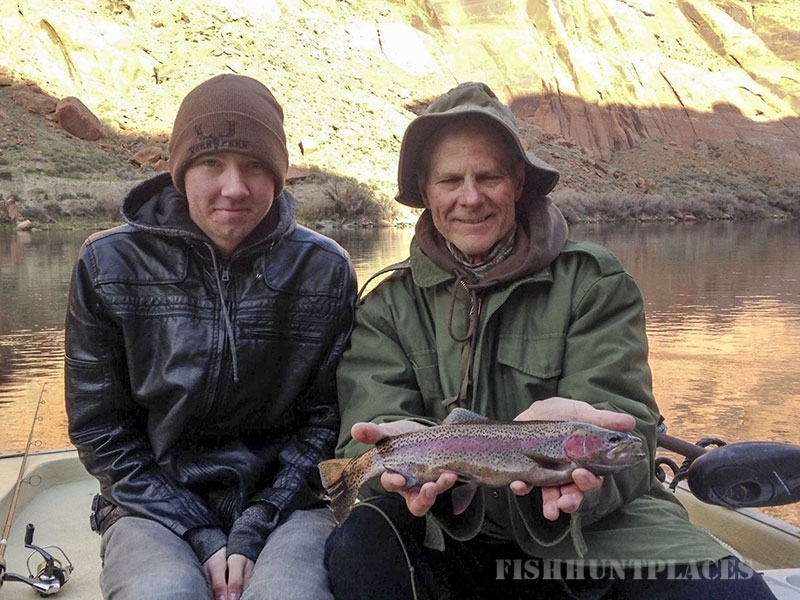 I immediately began fishing here on a regular basis and I have been guiding since 1987. There is no other place in the Western United States I would rather be than Lees Ferry. 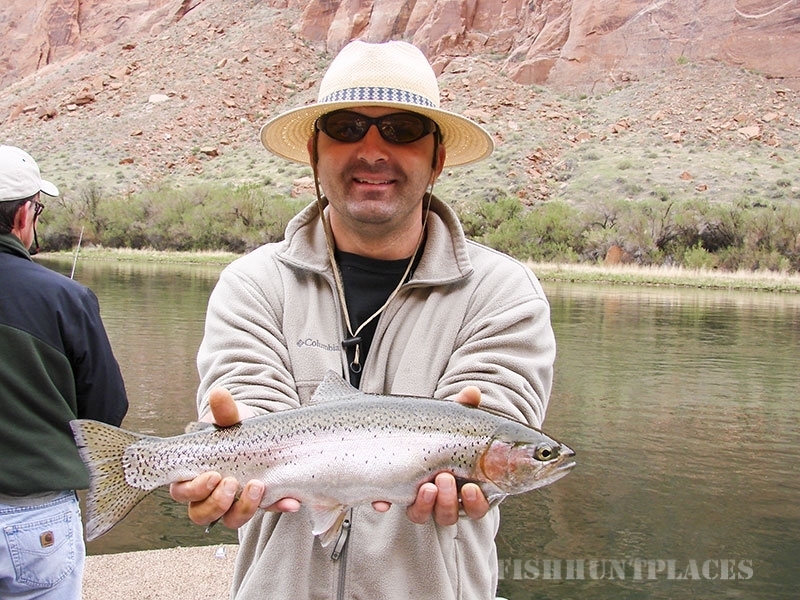 I love the challenge of putting my clients on these beautiful Rainbow Trout. 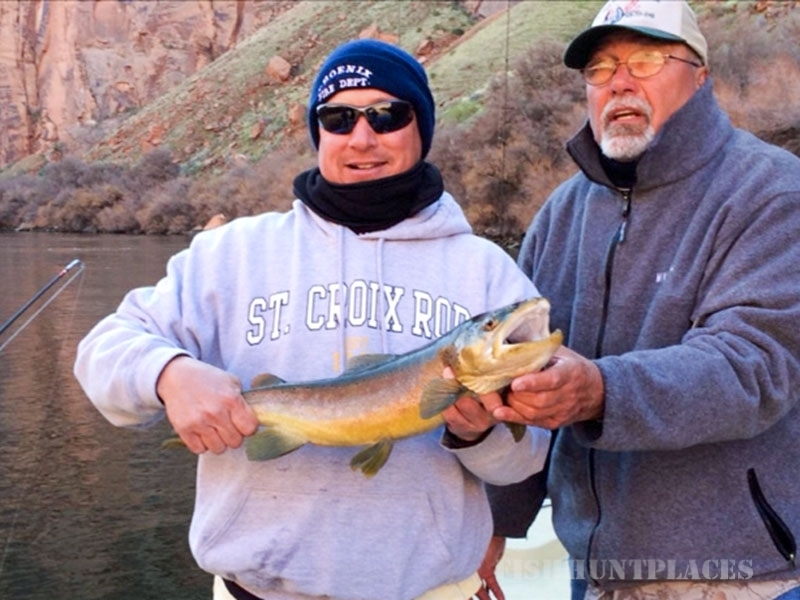 The water temperatures are consistently 46 to 48 degrees and the food supplies abundant year round - the trout are growing ½” to 1½” per year. Fish up to 21” have been caught and released this past year with an average 13” to 19” fish caught every day. Lees Ferry is a world class Rainbow Trout fishery which includes the occasional Brown Trout. Fishing is awesome year around, our spawn starts in late December and goes through April.